Continuing my trend of catching up on PS2 RPGs, I picked up the Shadow Hearts series a few months ago. Since a recent spate of games (including Demon’s Souls, which seems to be a videolamer favorite) has kept me busy, I’m just now making my way through the series. 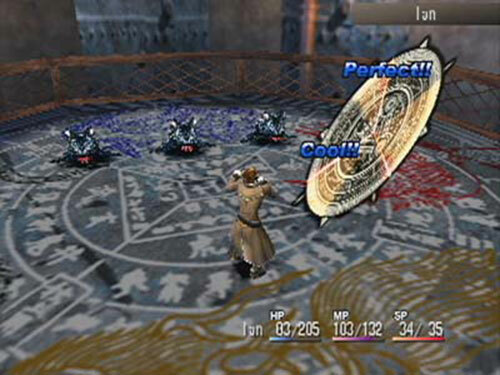 The PS2 may have an impressive spread of RPGs – as I’ve discovered, still playing games I had barely heard about – but Shadow Hearts really stands apart, despite being an early game on the system that hasn’t really aged well. By far the most impressive part of Shadow Hearts is the atmosphere. Set a little over a year before World War I and taking place in both East Asia and Western Europe, SH manages to portray a surprisingly realistic world, given its focus on demons both internal and external. Some of my favorite parts of the game involve direct interaction with Japan’s army – though a little research indicates the writers confused pre-WWI events with pre-WWII events. While the focus of the game is on paranormal forces which obviously don’t have much to do with history, the semi-historical setting sets an unusually serious tone. It’s this seriousness – or, perhaps, a simple lack of fantasy elements, that really stands out in Shadow Hearts. Whereas the standard for RPGs is a completely new setting with world-building aplenty (and often I have no problem with this), it’s refreshing to see a game set in the “real world” – even if it’s one where the supernatural lurks around every corner. 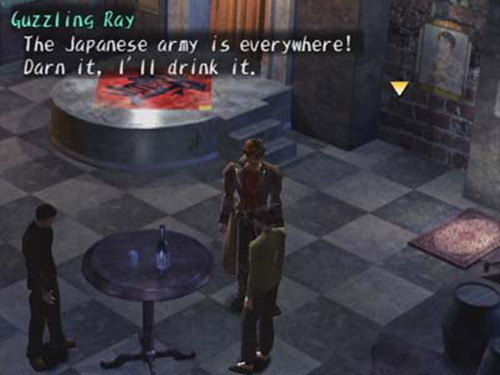 This isn’t to say Shadow Hearts is completely lacking in humor, bizarre characters, or floating castles; all of these are present, but are more subdued than usual. The humor is usually in character dialogue, and highly appropriate – it often seems like a coping mechanism for the various horrors the heroes have to stare down. In a couple places, the humor does go further, but it never gets in the way of the story. The combat and dungeons, however, are an artifact of the past. In the first half of the game, most of the “dungeons” are two or three screens with a single save point near the middle. You run around in these claustrophobic areas and fight increasingly long battles against repetitive and occasionally creepy-looking enemies. While the dungeons are unusual, and the actual artwork in them is atmospheric, the battles really bog the game down and put a damper on gameplay. Active combat systems are nothing new, but Shadow Hearts’ take on it is interesting. The Judgement Ring system is used the same way regardless of what action you take, making it intuitive no matter which character you use (even if some seem easier to use than others). This gets a little bit repetitive, but the ring itself is quick enough that this isn’t a huge issue. A quirk of the ring system is a whole set of “ring abnormalities” – ailments that affect your character’s Judgement Ring, making it run quicker or making the hit areas invisible. The ring abnormalities, much like the “Berserk” status (wherein a character becomes uncontrollable if you don’t watch his or her Sanity Points), are only significant during boss battles. Balance is hit or miss for most any RPG, and Shadow Hearts is no exception. Encounters in the early dungeons are boring because they take too long; later encounters are boring because they can be beaten in one or two special attacks. The boss battles, though, are among the most satisfying in any JRPG I’ve played simply because their balance seems perfect. Although I only ever lost to one boss, each victory was hard-won, by the skin of my teeth and by virtue of the myriad recovery items I’d purchased (which felt excessive prior, and only barely sufficient afterward). Every battle finished with a couple of team members near death, all out of MP, and at least one almost out of sanity points. The final battle actually ended with all three characters in these circumstances. Generally, though, Shadow Hearts feels clunky and out of date. It runs slowly, the dialogue is as claustrophobic as the dungeons and not very well translated, and the music is occasionally good but not that memorable. Despite all these flaws, I’m glad to have played it. It presents a unique and semi-realistic (if not historically accurate) setting, fun and unusual characters, and the occasional satisfying boss battle. 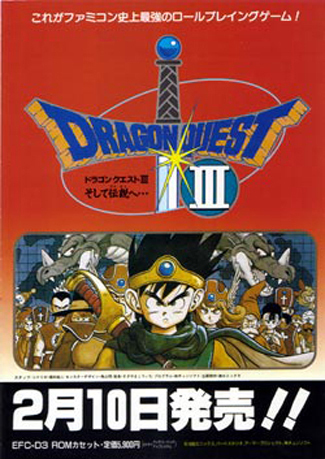 Maybe not the best game ever, but if you’re an RPG fan and you’re sick of cheesy JRPG fantasy, this one is probably a sure bet for you.